What States Produce the Most Popcorn? The United States grows – and consumes -- most of the world's popcorn. It's an ancient food. According to the Popcorn Board, the oldest known ears of popcorn, discovered in New Mexico in 1948 and 1950, date back 4,000 years. The traditional Corn Belt states grow most U.S. popcorn. The 12 states in the Corn Belt are Illinois, Iowa, Nebraska, Minnesota, Indiana, Wisconsin, Michigan, South Dakota, Kansas, Missouri, Kentucky and Ohio. 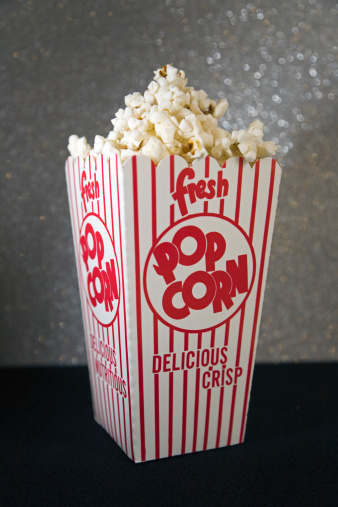 Most of the world's popcorn is produced and consumed in the United States. Nebraska has been the largest producer of popcorn in the United States from 1977 through 2010. The state grows more than 25 per cent of the nation's popcorn. High irrigation rates are at least partly responsible for Nebraska's popcorn success. Indiana is only slightly behind Nebraska in popcorn production as of 2010. Combined, the two states produce roughly 55 percent of the nation's commercial production. For a time, after popcorn hybrids became increasingly popular in the 1940s, Indiana enjoyed the number one spot. Together, Iowa, Ohio and Illinois produce roughly 25 per cent of the total corn production in the United States. Up until the mid 1940s, Iowa was the top producer. After the introduction of popcorn hybrids, Illinois took over that position, followed by Indiana and finally Nebraska.